All Tracy Lynn Pristas original paintings from this site ship free one way to the USA and Canada.Original art purchased from the artists represents an investment to last a lifetime. 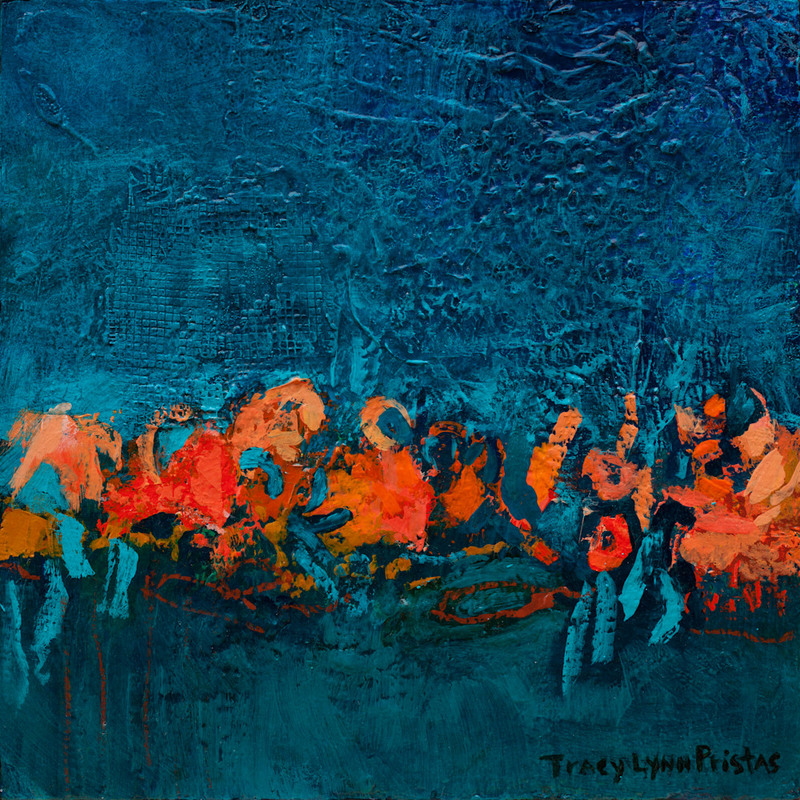 Start your collection with this stunning archival painting by established artist Tracy Lynn Pristas. A contemporary mixed-media original using one of the trendiest colors indigo with a southwestern flavor. Layered paint and unique archival materials were used to design these one of a kind textures.This unusual work of art is truly a meditation since the painting is infused with Reiki healing energies by the artist. This artwork is an easy choice for a whole host of interior design schemes. Purchase all three for versatile design options. This unusual work of art is truly a meditation since the painting is infused with Reiki healing energies by the artist. This artwork is an easy choice for a whole host of interior design schemes. Purchase all three for versatile design options then choose your size print and frame it your way.